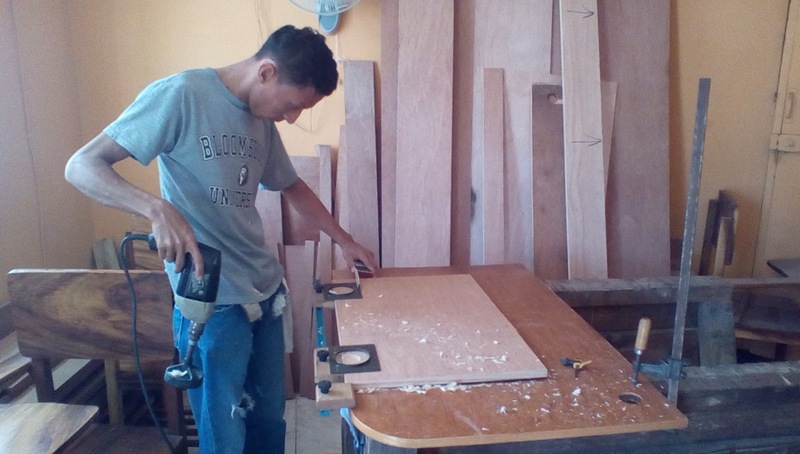 Last November, we moved the work of the cabinet shop from El Paraiso to Leon. For a time we have had the training and work done in our home. We have finally found a small little space around the corner from our house. 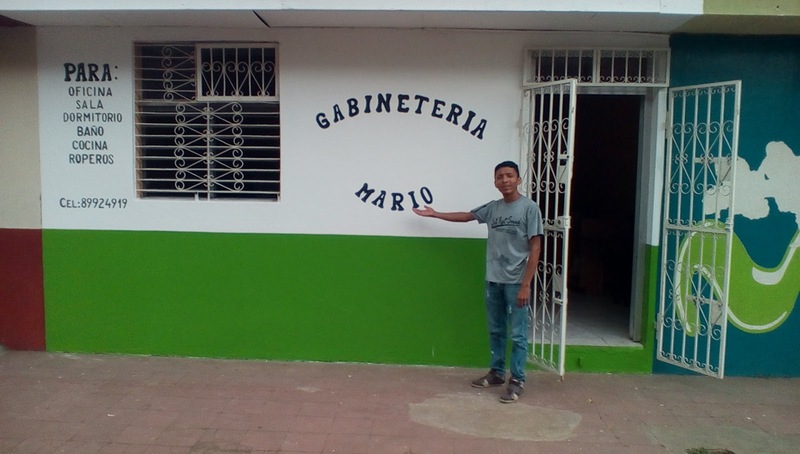 And we chose to name the new business Gabinteria Mario. Moving into the space has been easy, we are minus machines and tools because of last month's theft. From the very beginning in 2010, we taught the guys how to work with hand tools. If the guys would ever want to start their own business, it would be cheaper to buy hand tools. Many times power outages is common even in the city which makes power tools useless. It goes without saying that they always preferred to work with power tools, it's easier and faster. The younger generation and this culture love to see results immediately. If it takes too long, they lose interest and walk away. So, we allowed them to graduate from using hand tools to power tools as soon as they had proven they had mastered the techniques of hand tools. Mario is happy about the new space but not about going back to "the stone ages" of using hand tools. We told him that until we can generate sales to save money for new power tools, hand tools would have to do. The purpose of the cabinet shop is to build wall cabinets, pantries and wardrobes. 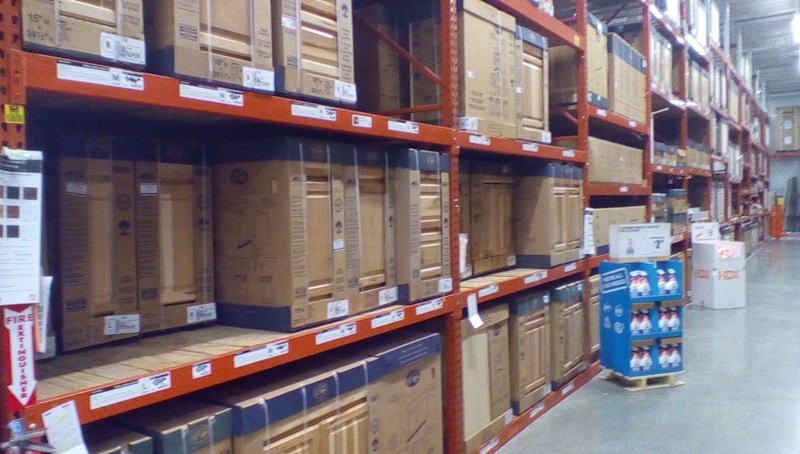 We are taking the concept of Lowes and Home Depot; individual cabinets that can be purchased as needed, carried home and installed. 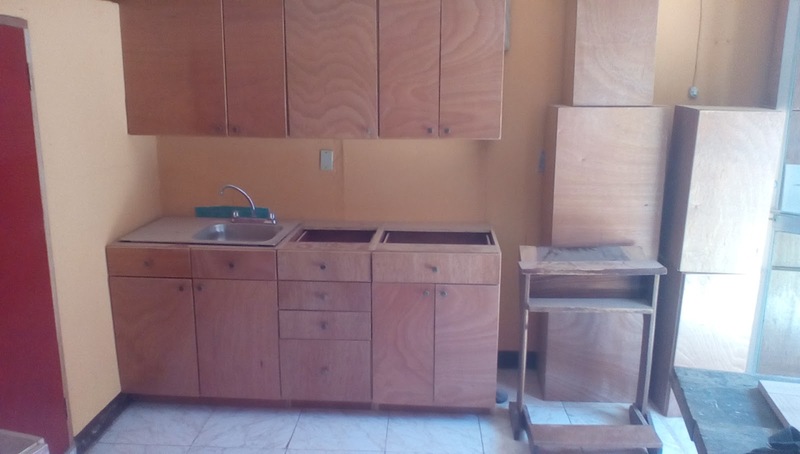 The community is growing, modern homes are being built that require cabinets. People are beginning to be able to afford to fix up their homes after years of neglect and cabinets are needed. Buy 1 or 2 as they can afford them. Nicaragua is dry, windy and dirty six months of every year. It is common to sweep up one cup of dirt from each room and wipe tables every half hour of dark dirt. Typically houses do not have cabinets or closets. There needs to be storage for dishes and clothes. 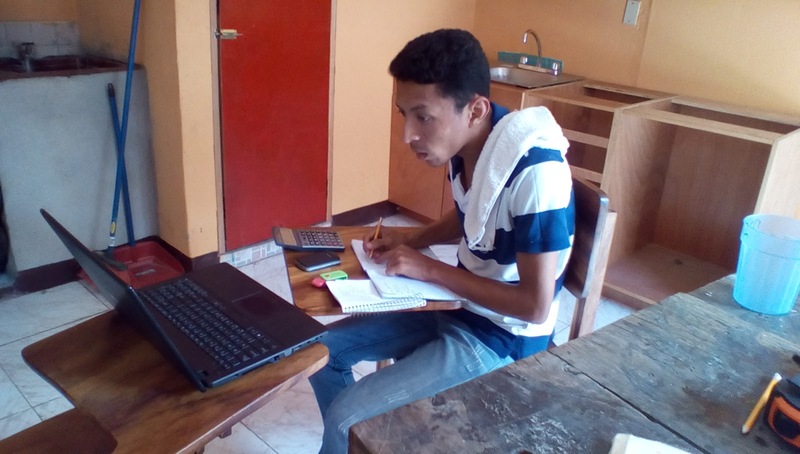 Our desire is to work with Mario in Leon to continue to build his carpentry skills and teach him the fundamentals of business. In the future, we hope to have a factory out at El Paraiso. Mario goes to college on Saturdays to study industrial engineering. How appropriate is that for the future? In the meantime, we want to build the business in the metropolis of Leon. This month, Mario has been learning how to figure the pricing for the materials used in each size of cabinet. After the costs are determined, he is taught about markup and profit. Seeing the sale prices in black and white on paper made him uncomfortable. Too high, he kept saying! In this culture, a product is made and usually not much thought is put into the sale price. The price might be determined by whatever sounds good or whatever is needed that day to buy the day's groceries or maybe it's time to pay the rent or definitely the price is based on the color of one's skin or their prosperous background. We spoke to Mario about how was he going to buy sand paper, a new saw blade, pay the salary of a helper. What about the rent, the lights? Well, it takes the proper markup to pay all the expenses. He started to see that pricing was important to keep a business thriving. This month, we are working on cabinet prices and business fundamentals. Tune in for upcoming news on how the business is developing.